There was a Finnish businessman who was caught going 65mph in a 50mph zone, and the fine for his traffic ticket came in at a cool $54K. That is not a typo. 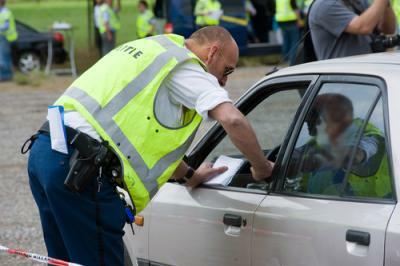 You see in Finland as well as a number of other Scandinavian countries, there is a sliding scale for certain avoidable offenses like speeding, shoplifting and violating securities-exchange laws. Fines for these offenses are derived from the amount of spending money a person has for one day based off their taxable annual income, dividing that amount in half and then multiplying by the number of days determined by the offense. So, 15mph over the speed limit is worth 12 days and 25mph gets an offender 22 days. Since the business man in the incident earned some 6.5mm Euros annually, his fine came in quite a lot higher than the fine for an average offender (which is more likely to look like the levels found in the US of $200 or so). Note to CEOs - don't speed in Finland! Bank regulators may have taken a few pages from Scandinavian traffic enforcement rules when it comes to the stress test results from the biggest banks in the US. There were two rounds of the test administered by the Fed and all 31 banks passed the first round. The first test looked at a bank's capital buffers given a number of economic scenarios, such as a 60% drop in share prices and 10% unemployment. In that the first test was only an analysis of capital given the banks' current balance sheet data, planned distributions such as dividends and share buy-backs were not considered (though they were in the second round). The dilution of a bank's ROE through distributions is a serious matter, especially in times of lackluster returns in the industry as a whole. Bloomberg reports that financial stocks are now the highest dividend-paying sector in the S&P 500, accounting for more than 15% of the S&P 500's dividend yield. After the Fed test, 7 banks immediately increased their dividends, which should make the stocks more attractive to investors. No US bank failed the second round, though Spain's largest bank Santander did (they also did last year) as did Deutsche Bank of Germany. As a result, the US entities of these two foreign banks will be unable to distribute capital to their parent companies - reducing flexibility. The rules are different for community banks and weaknesses found in stress tests will not have the same far reaching affects upon business models or dividends. While community banks do not have to undergo stress tests administered by the Fed, the OCC does set out some guidelines for banks under $10B in assets. The OCC says that some form of stress testing or sensitivity analysis of loan portfolios should be done on at least an annual basis, as a part of a sound risk management program. Basel III limit distributions and bonuses for all banks when it fully rolls out, so all bankers should fully understand any potential impact there too. As for Finland's traffic laws, these laws came about in 1921 but the idea actually goes back to Medieval Europe. Back then, sliding fines were set up as an alternative to punishing offenders through personal vengeance. Banks of all sizes may sometimes feel like their regulators are expressing personal vengeance from time to time, but in the end, different laws for different sized institutions make a lot of sense. After all, it keeps the SIFIs mostly in line and allows community banks a bit more leeway. Even if the punishment is not as onerous as for the big banks, community banks should still have a good idea of what effect various economic cycles would have on their loan portfolios and on their capital. It's just prudent management. Treasury yields plummeted 16bps as the Fed shocked the market by giving no indication whatsoever that a rate hike was imminent. Yields are up 4bps as trade activity remains volatile ahead of this morning's jobs release. A survey by Pew Research finds the most popular social media sites (based on percentage of online adults 18 or older who used the site in 2014) are: Facebook (71%), LinkedIn (28%), Pinterest (28%), Instagram (26%) and Twitter (23%). Interestingly, the same survey also found: 56% of online adults age 65+ use Facebook; 53% of internet adults 18 to 29 use Instagram; 52% of online adults now use 2 or more social media sites (vs. 42% in 2013); 50% of LinkedIn users have college educations and 42% of online women use Pinterest (vs. 13% of online men). Research by HR firms WorkplaceTrends and CareerArc finds that given advances in technology, 65% of employees say their manager expects them to reachable outside of the office by phone (23%) or email (9%) or both (33%). A survey by TINYpulse from employees at more than 500 companies finds the top 3 things that make employees unhappy are: unsupportive managers, not having the tools to succeed and having no opportunity for professional growth (due to either a lack of awareness of what is available to them and a lack of training/mentorship). While the banking industry was not singled out in the survey, these themes probably also apply, so we wanted to share the information. Research by Kehrer Bielan Research & Consulting finds 13% of American households hold an investment purchased from their primary bank or credit union. Meanwhile, the number of banks that are offering investment services declined to 1,772 as of the end of last year (this is a 13% decline from 2008). A survey by real estate brokerage firm Redfin finds 38% of Millennials say they would put off a wedding or honeymoon in order to be able to save up money to buy a house. USA Today reports the world's richest 1% of people control over 50% of total global wealth.